The Walsh University Board of Directors and President Richard Jusseaume announce the appointment of Laurel L. Lusk, CPA, as the University’s new Vice President for Business and Financial Affairs/CFO, effective July 1, 2018. Lusk has served as Walsh’s Controller since 2012 and will replace retiring Vice President and CFO Shelley Brown, who has served in this position since 2012. In her new role, Lusk will be responsible for ensuring the financial integrity of the University. Reporting directly to the President, she will advise on all matters of fiscal security and accountability, financial planning and the management of all funds and securities of the University. She will act as Treasurer to the Board of Directors. Lusk will manage and provide leadership, strategic planning and coordination for the Business and Finance Division, including the Director of Financial Aid, the Controller, the Director of Human Resources, Director of Purchasing, Director of Special Programs and contracted services. She will work closely and collaborate with the University’s senior administration to maintain consistent and effective daily management of its business operations such as accounting preparation, cash management, investments, credit and bank relationships and budget preparation. 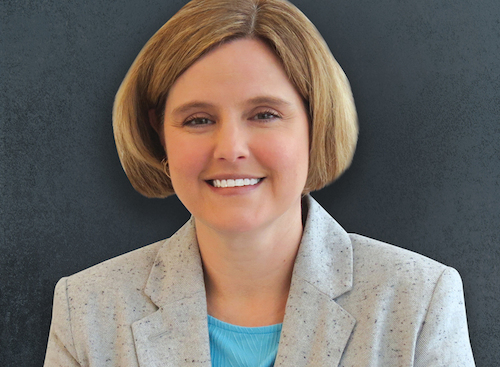 Laurel Lusk brings 20 years of accounting experience and fiscal expertise to this position. She joined Walsh University in 2012 as Controller responsible for the management and supervision of the University Finance office staff and day to day operations. Her experience includes more than five years in the field of higher education and 14 years of auditing and tax experience in public accounting. As Walsh Controller, she ensured the efficiency of daily operations of the Finance Office, monitored compliance with the University budget and oversaw accounts payable and payroll as well as accounting of the general ledger accounts and tax fillings. She also helped to coordinate the preparation of the University’s annual budget, year-end audits and financial statements. Prior to Walsh, Lusk served as a Manager Accountant for 415 Group, Inc. in Canton, Ohio. Her responsibilities included Certified Public Accounting services to a variety of commercial, industrial and institutional businesses. She earned her Bachelor of Arts in Accounting from the University of Mount Union and is a member of the American Institute of Certified Public Accountants and the Ohio Society of Certified Public Accountants. Laurel resides in Jackson Township with her husband, Brian, and their two daughters, Kaylee and Cameron.